Holly Adams was born in Columbus, Ohio. 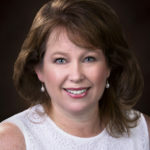 She received her Associate of Science in Nursing from Pensacola Junior College in 1996 and her Bachelor of Science in Nursing from the University of South Alabama in 1997. She completed her Master of Science in Nursing from the University of South Alabama and became board certified as an Acute Care Nurse Practitioner in 2009. She is a member of the American Gastroenterology Association. She has worked for the Baptist Division of Gastroenterology Associates in Pensacola, Florida since 2010.